Instead, as is often the case in the age of George Orwell’s “big lie” in modern America and Britain, the opposite was the case. The Yalta conference was a triumph of realpolitik that kept the global peace between the superpowers almost three quarters of a century so far. 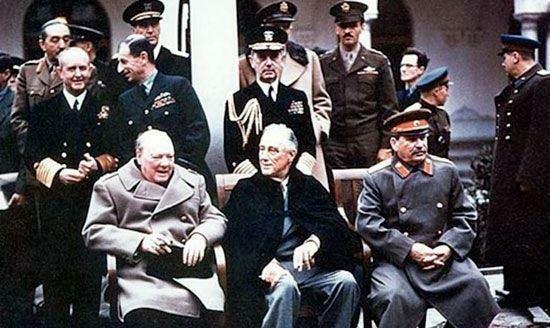 In fact, Yalta was a triumph for FDR in everything that really mattered: The division of Europe agreed to there by the “Big Three” was based on realities of power and could therefore be upheld and maintained for many decades and it was. By contrast, the hyped, gargantuan Versailles Peace Conference in 1919 led to the rise of Adolf Hitler within 14 years and another, even worse world war only 20 years later. Versailles was a catastrophe. Yalta, where it really mattered, was a lasting triumph.